PORTLAND—According to sources, missing dad Ed Phillips was reunited with his family Thursday after he was found safe and in good health in the lumber section of The Home Depot. “We were starting to worry we were never going to see him again, we kept calling his name, but he was just gone without a trace,” said Phillips’ 14-year-old daughter Caroline after her 49-year-old father wandered off from his wife and two children, giving the family quite a scare. “After he didn’t turn up in the lighting or paint aisles, we started thinking about all of the other places he might be drawn to, and thought about how he likes playing with wooden blocks. 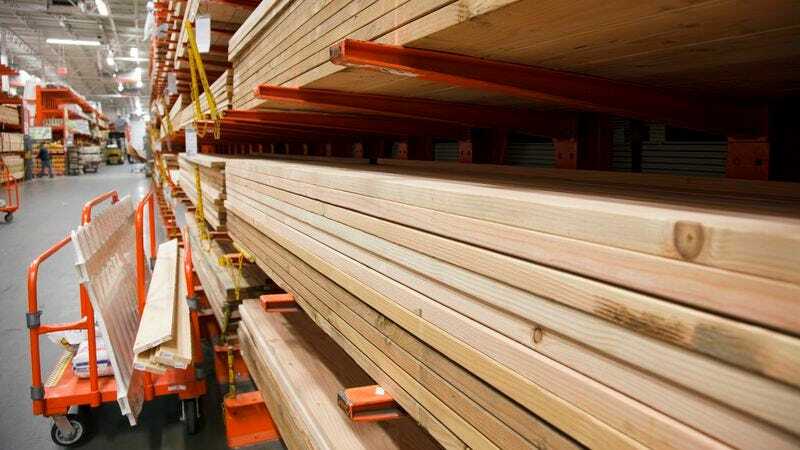 Luckily we spotted him there staring at a stack of 2x4s.” At press time, Ed was happily playing with a group of other dads in the power tools section.